What's left of Nomura after $1 bn cost cutting in struggling wholesale biz? Amazon.com Inc Chief Executive Officer Jeff Bezos will retain 75 per cent of his stock in the company following his divorce from MacKenzie Bezos, the couple announced Thursday on Twitter, eliminating any concern that the split would influence his control over one of the world’s most valuable businesses. MacKenzie Bezos retains 4 per cent of Amazon, or about 19.7 million shares worth about $35.7 billion, the company said in a filing, making her the world’s fourth-richest woman, according to data compiled by Bloomberg. Amazon shares dipped less than 1 per cent at 1:38 p.m. in New York. 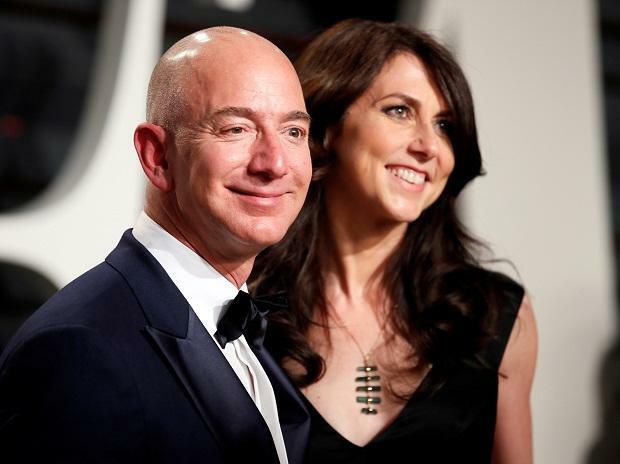 Jeff and MacKenzie Bezos met in New York at D E Shaw Jeff was the first person to interview MacKenzie for a role at the hedge fund and the pair ended up having offices next to each other, according to a 2013 interview with Vogue. They married in 1993 and a year later drove across the country to Seattle, where Jeff founded Amazon. They have four children. MacKenzie, an author, played a significant role at the company in the early years, but her presence faded in later years. Most high-ranking employees saw her at social events the couple hosted at their Medina, Washington, home and elsewhere. They’d also be spotted at Lakeside, a Seattle private school, with their children. When Amazon showcased its new biospheres, the plant-filled architectural centerpiece of its Seattle headquarters, the couple toured the building with a horticulturist. MacKenzie also accompanied her husband to Hollywood events after Amazon began a concerted push into video and original programming.